You never know how your simple next right thing could have an impact on people 100 years from now. 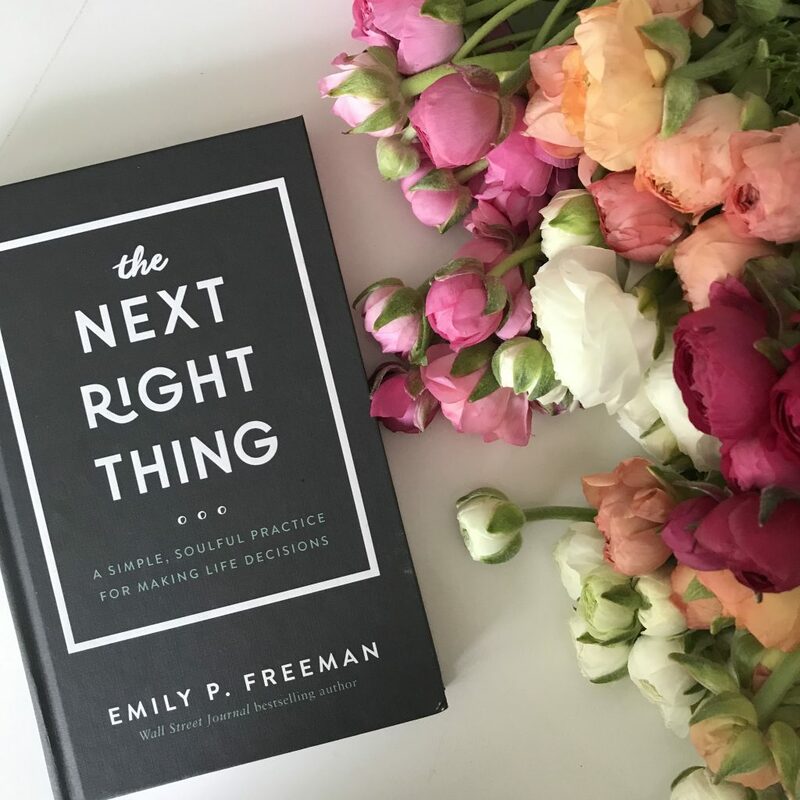 Today is the official US release of The Next Right Thing: A Simple, Soulful Practice for Making Life Decisions — and it all started with a little poem written 122 years ago. I pre-purchased ordered The Next RIght thing and I did not receive instructions of how to retrieve the audiobook. You should have received that link around 12:30 today. Where did you find Minnie Paul’s journal/writings? Is there a title to search? I am so intrigued. Thank you for your podcast and writing; it is a source of peace and quiet. I’m so excited, Emily! 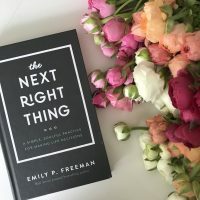 I’m gathering my online friends together for our next Book Club … ‘The Next Right Thing’ it is! So grateful to have found you. My daughter was the first person to introduce me to you and your ministry. What a gift I have received. I have been able to share this gift with others.